US stocks are crushing it on the global stage, with the S&P 500 Index clearly outperforming rival benchmarks in Asia and Europe during the third quarter. Here’s the not-so-good news: US equities are now extremely pricey on an international basis. The S&P 500 went into overdrive during the third quarter, advancing 7.2%. That’s the best performance since the end of 2013 as investors bet the US economy is in far better shape than its rich-world peers. Aside from the premium issue, market skeptics are also worried about the flattening of the yield curve. The spread between short-term rates and long-term rates is narrowing. 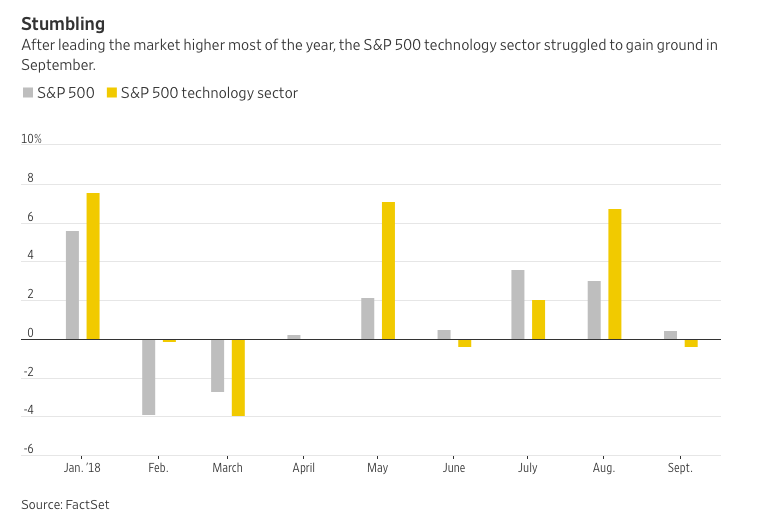 Another possible worry, in my opinion, is the poor performance of technology stocks during the third quarter, despite the news that both Amazon (AMZN) and Apple (AAPL) saw their market values eclipse the $1 trillion mark. Tech stocks have been one of the biggest drivers of the current bull market which began in March of 2009, so the pull back may be cause for concern in my view. That said, the underlying foundation of the US economy looks strong, with the jobless rate a historic low and wage growth showing signs of life. The risk of a recession seems low, even when looking out over the next three years, according to Reuters citing data from Goldman Sachs. Add it all up, and the US stock market environment is a pretty good one in my view. Yet with stocks looking on the expensive side, I think investors will need to be extra vigilant to find bargains in this current market.